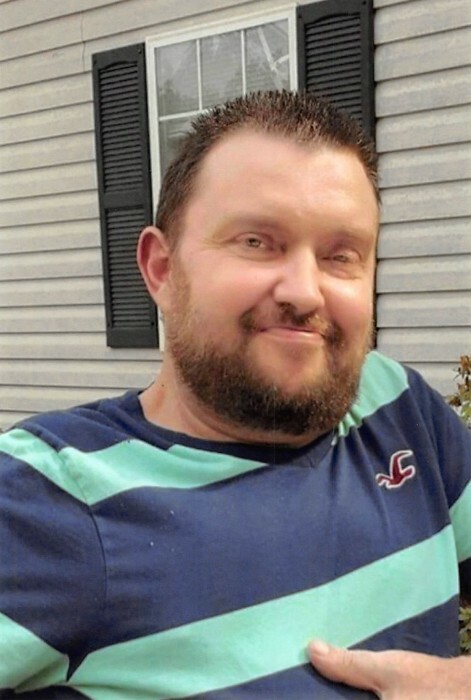 Mr. Randy William Ploof, age 44, of Temple passed away on Wednesday, September 5, 2018. He was born on May 25, 1974. Mr. Ploof was the son of the late N.P. Ploof and Patsy Jane Ploof (Goldin). He was a faithful member of Union Grove Baptist Church. Survivors include his brother, Donald Ploof and a number of other relatives and special friends. Funeral services will be conducted on Saturday, September 8, 2018 at 2:00 P.M from Union Grove Baptist Church with Pastor Jon Smith and Reverend Ralph Ploof officiating. Interment will follow at Union Grove Baptist Church Cemetery with Reverend Drew Norton officiating at the graveside. Pallbearers will be Bob Ploof, Scott Ploof, Anthony Sims, Donald Ploof, Drew Swann, and Randy Hagan. Uncles and cousins will serve as honorary pallbearers. The family will receive friends at the funeral home on Friday, September 7, 2018 from 6 P.M. until 8 P.M. Messages of condolence can be made to the family by signing the online tribute wall. Hutcheson’s Memorial Chapel & Crematory of Buchanan is in charge of the arrangements.